Google's inexpensive Chromecast is already popular for streaming audio from sources like Play Music and Pandora to your television, but now it looks like the company wants a more specific approach for music. 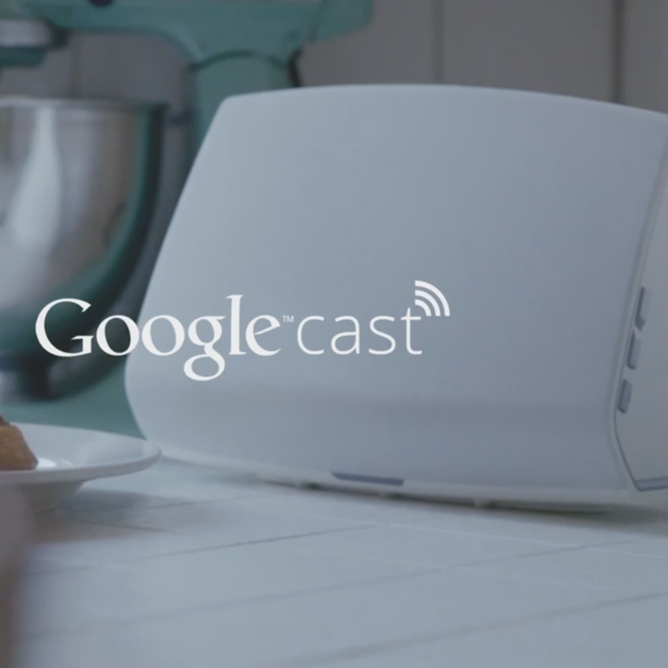 To that end Google has announced "Cast for audio," an audio-only version of the system that streams directly to connected and certified speaker systems, no extra hardware required. The first compatible speakers should reach the market in the spring of this year. Cast for audio utilizes the same simple interface and remote connection as Chromecast: simply tap the "cast" button on your phone, tablet, or browser tab, and the content will be sent over the local network to the speaker, at which point it pulls down the music directly from the Internet. The ease-of-use is an obvious parallel to existing solutions like AirPlay and high-quality Bluetooth, but the fact that the content itself comes from the cloud should make it less taxing on your phone or tablet, without the drawbacks of Bluetooth's limited range. Remote selection and audio control are still handled on the Android device or Chrome over Wi-Fi, just like Chromecast. The first manufacturers onboard with Cast for audio are Sony, LG, and Denon, with OEM suppliers Broadcom, Marvell, MediaTek, and Libre Wireless supplying the necessary radios and connection hardware. Google has already confirmed that its own Play Music app will work with Cast for audio, as well as iHeartRadio, NPR One, Pandora, Rdio, and TuneIn, and possibly the rest of the audio and music apps that already support Chromecast.